Kerala “The God’s Own Country”, is one of the most visited and preferred Honeymoon Destinations in South India. The city is not only famous among Indian couples or travelers but numbers of tourists visit Kerala for long vacations to celebrate their love moments. Honeymoon in Kerala is a dream of every couple as it has everything to charm the newly weds from religious diversity, numerous languages to captivating landscape, interesting history and many more to allure. The honeymoon destination Kerala is quite unique in terms of the culture and festivals from rest of the country. Kerala has a lot to magnetize love birds which includes lustrous houseboats cruise, sandy beaches beck on the sun-worshiping crowd, vast plantations of spices and tea and terrific wildlife scantuaries. Why to Choose Kerala as Honeymoon Destination? Kerala is one of the India’s most romantic honeymoon destinations with various beautiful cities that are truly heaven for couples in every way. Most of the common destination for honeymoon lies in Central Kerala region where appealing beauty of the palm fringed beaches of Kovalam and Varkala, the tranquility of the pristine backwaters of Kumarakom & Kuttanad, the majesty of the waving hills of Munnar and Vagamon and the enchanting woods and forests of Thekkady and Silent Valley will have you bowled over. Beaches are the most attracting side in Kerala and out of all beaches, Alleppey Beach is one of the most popular tourists spots in the state offers most romantic moments to the couples where they can sit for hours and share the best time that might not come again. In addition to this, Somatheeram, World’s First Ayurveda Resort, in land of Kerala offers you some unique services. When it comes to Kerala feast, you will like it the most as it all serve in different and unique style comprise rice and a large number of side dishes and curries, all specially prepared in Kerala style and served in plantain leaves. So get ready to enjoy such unique experience that you won’t get anywhere. If you have still doubt about the Places to Visit in Kerala then find it below. 1. The Guruvayoor Sree Krishna Temple, Thrissur, Chottanikkara Bhagavathy Temple, Cochin, Sree Padnamabha Temple, Trivandrum, Sree Vadakkumnathan Temple, Thrissur are some of the famous temples in Kerala among many others. 2. There are several forts, palaces, cemeteries and citadels in Kerala to visit which are still holding an incredible charm. 3. The hills, rocks, valleys enhance the beauty of Kerala and at the same time you can take a lot from here including handicrafts, pickles, tea, chocolates, honey, snacks, bamboo products and spices. The list of attractions in Kerala doesn’t end here. All you need is plan your honeymoon in Kerala and make the memories that stays forever in your heart. Pune is a hub for IT companies. After five days of hectic work schedule, people look for a perfect weekend gateway. And one of the best things for Pune people is they can plan atleast 1 or 2 day trip to Pune with friends, family to relax their soul, mind as there are many places near Pune that can be the best weekend destination. Pune is the city best known for parties and night life, but that doesn’t mean you can’t find tranquility and peace here. There are lots of other side of this amazing city; like beaches near Pune. The city is surrounded by some of the mesmerising seaside destinations. Must Visit Indian Honeymoon Packages for romantic honeymoon holidays. Located on the shores of Arabian Sea, Kashid beach prominently known for an ideal one day trip destination amongst all the other beaches near Pune. Its a perfect gateway for family vacation with lush greenery and mind soothing scenic beauty. The sea offers so energetic and refreshing experience during evening. 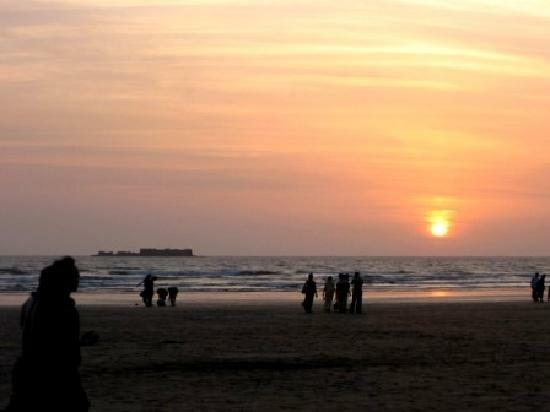 People from Mumbai and Pune usually visit Kashid Beach to spend their weekends with full of joy. 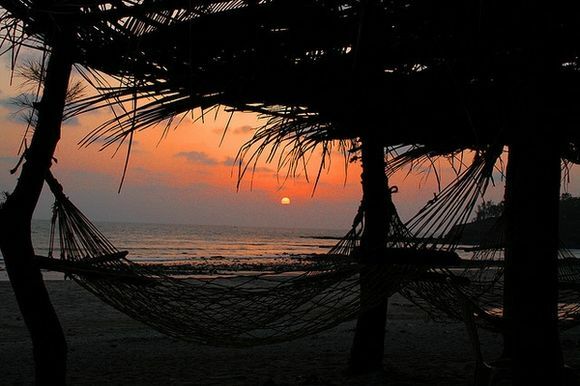 The ocean of tranquility, Murud, offers relaxing weekend from day-to-day rush. The beach has everything to delight travelers from lush greenery to peaceful surroundings. Take a tour through this enchanting destination, reside in the tranquility of nature. One of the most visited weekend gateways from Pune, Alibag is frequented by most Mumbaiites and Puneites. There is not just the beach, but lots of other things to visit and sightsee here. 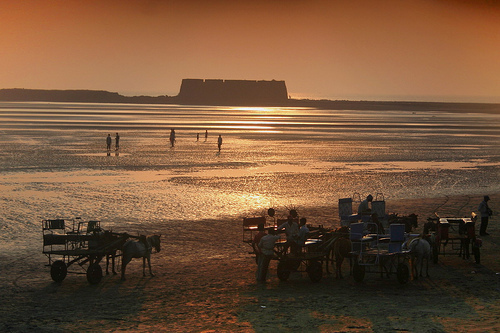 One of the most prominent attractions in Alibagh is Kulaba Fort situated on the seashore. You just get one hour between the low tide and the high tide to visit this fort.